The WordPress platform continues to grow and improve and so has the WordPress community of plugin developers. 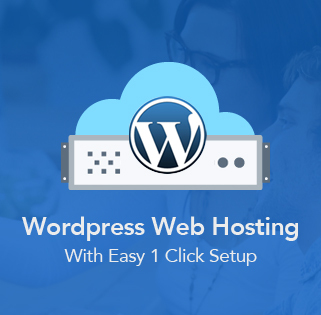 There are now thousands of excellent plugins available to us and utilising plugins for WordPress websites has become everyday practice for designers and web developers, many of which have taken advantage of our cheap WordPress Web Hosting which comes with an easy 1 click WordPress Installation. Plugins now play a massive part in WordPress development which can help you deliver additional functionality and enhance usability for your users, in fact there are now 40,484 plugins on the WordPress Directory with 1,051,777,966 downloads to date. Here are our Top 10 FREE WordPress Plugins, all of which we have been tried, tested and are frequently used on our own WordPress projects. Yoast SEO ( previously WordPress SEO by Yoast ) is by far the most comprehensive search engine optimisation plugin available for websites built on the WordPress.org platform. This fantastic plugin provides on page analysis which helps you optimise your content, page/post titles, meta descriptions and keyword focus. Yoast SEO also has plenty of other features to help with your SEO efforts, such as robots meta options; these can be used to noindex a certain page, category or custom field for example, canonical options, permalink cleanup and xml sitemap creation. It is also possible to access and change you robots.txt and .htaccess files from the WordPress admin. Akismet is a must have plugin which helps you protect your blog from spam comments. Spam comments can be extremely annoying and can ultimately effect the performance of your blog if dealt not with. But who wants to sift through spammy comments? no one… This is where Akismet’s clever plugin can really help you out. It works checking your comments against the Aksimet Web Service and checks whether the comment looks like spam or not, filters them and let’s you review them for deletion. You can also set the plugin to block the worst spam completely saving you disk space. Upon installation you will be asked to sign up and select an amount you would like to pay, you can always slide the amount down to $0 so this plugin is free if you want it to be. Website Speed is critical when optimising for search engines such as Google, Yahoo and Bing. These search engines have for some time now had site speed as a signal in their ranking algorithms and is now a must if you want good ranking in search engine results pages (Serps). But it’s not all about pleasing the bot’s, having a fast loading site will provide a better experience for the user when browsing your site, help keep them engaged and reduce bounce rate. Website SEO’s will tell you that there are many things you can do to speed up a site, such as minify java script, minifly CSS and minify HTML but what if you don’t know how to do it? That’s where W3 Total Cache can really help you out. W3 Total Cache has the answer to minify scripts and code as well as many other excellent features such as page cache, database cache, browser cache and a whole lot more. Contact form 7 is an old timer, but never fails to provide an easy-to-use, intuitive way to integrate email contact forms in to our WordPress websites and blogs. This fantastic plugin created by Takayuki Miyoshi is well coded, updated regularly for latest WordPress compatibility and now has over 1 million active installs. Contact form 7 allows you to easily setup and manage multiple contact forms, which can be customised with various form field types and mail contents using simple markup. The forms can be inserted into any post or page on your website with shortcodes and forms now support Ajax submitting, Captcha options and Akismet spam filtering. Another plugin called HoneyPot can also be used in conjunction with contact form 7 forms for extra spam protection. Ok so we all love WordPress and although security is getting better…. this great platform needs protection and we need to be more careful when using it. This awesome plugin from Wordfence can really help us achieve a good level of security and protect us from hacks, malware and people/robots who are out to get us. Wordfence begins by firstly checking if you site is infected, by checking your WordPress source code against the Official WordPress repository for core code, themes and plugins. You can then configure the plugin for an array of security features including, blocking features, extra login security, security scanning, firewall settings, monitoring as well as cache features. This is a truly tried, tested and actively used plugin with 1+ million active install worldwide and we think is the best security plugin currently available. Wordfence really is a must have in you wordpress plugin library. Easy WP SMTP is a smart plugin designed to allow you to configure your outgoing mail through WordPress via a SMTP instead of using the WordPress default mail sender wp_mail(). If you are fed up with clients complaining that their emails are going to junk folder of the recipients then this is the perfect solution. You can send you emails using any SMTP server as well as Gmail, Hotmail and Yahoo if you have any account with them. The plugin is easy to configure and also comes with a test button to check your settings are correct and emails are being sent. The SlickNav menu is mobile, tablet responsive menu which replaces the main menu at a designated page width. The plugin comes with an array of configuration settings and allows you to style the menu to fit your websites design. The responsive menu is cross browser compatible and also supports multi-level menus and multiple menus. You can also integrate your logo and the wordpress search bar into the menu as well. Jetpack is a plugin which adds an array of powerful features to your blog or website which were previously only available on WordPress.com websites. Features include enhanced customisation, mobile theme, content tools, visitor engagement tools, website performance with Photon CDN and visitor statistics and extra security features such as Akismet spam protection, single sign on and Jetpack monitor. Jetpack comes pre-installed when you take advantage of our easy 1 click WordPress installer, available on all cloud hosting packages. Currently there is no setting in WordPress to force the user to use strong passwords, the profile editor does have a strength indicator and there is a strong password prompt upon setup but users can still add weak passwords if they wish. Force Strong Passwords does exactly what it it say’s, by enforcing strong passwords and removing the ability to set a password which the plugin deems weak. Weak passwords leave the WordPress Platform very vulnerable to attacks, hacks and malware and many people, especially un savvy clients will continue to use weak passwords. By adding this plugin will prevent any complacency and force the user to create a safe password. Sometimes we need to move our WordPress websites to a new domain or perhaps you are moving your website to have a secure url. When doing so you will find that links to pages, posts and images are not updated resulting in broken links pointing to your old domain url. This plugin will help you fix these links and ensure they point to your new domain or url. There are various options, you can choose to update links which are embedded in content, excerpts, custom fields and you can also have the option to update links for attachments and images. Once Velvet Blues Update Url’s has completed the process you will be provided with a report on how many items were updated. Hurley Internet New Website Launch!